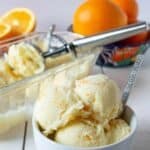 Homemade Orange Sherbet made with just 3 simple ingredients. Do you remember a few years ago when I returned from Arizona with a suitcase full of citrus and I made orange marmalade? Well, we did it again, but this time I showed a bit of restraint. Our suitcases were too full with Christmas presents and clothes and I just couldn’t fit any more oranges and grapefruit! 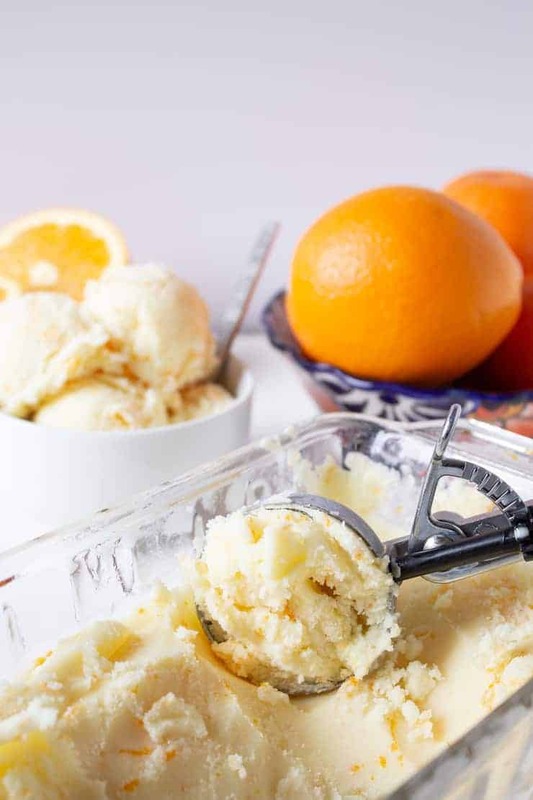 We have been eating all that wonderful citrus and I decided to made this Orange Sherbet! Sherbet is similar to ice cream, but doesn’t contain eggs or cream. 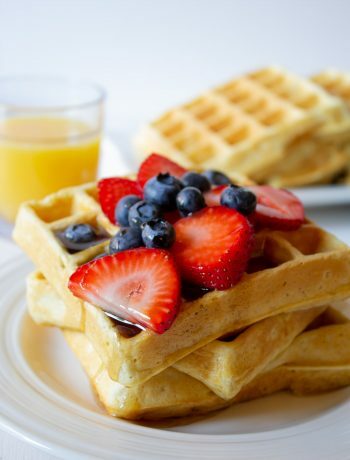 It is made with milk, sugar, and fruit juice. I also added orange zest to mine. People often ask if sherbet is dairy free, and nope – it has milk. I use whole milk when making sherbet, but you could use a lower fat milk too. Your sherbet will not be as creamy though. Sherbet is also similar to sorbet. Sorbet does not contain any milk or eggs. It’s just fruit, water and sugar. I always think sherbet is the middleman between ice cream and sorbet. 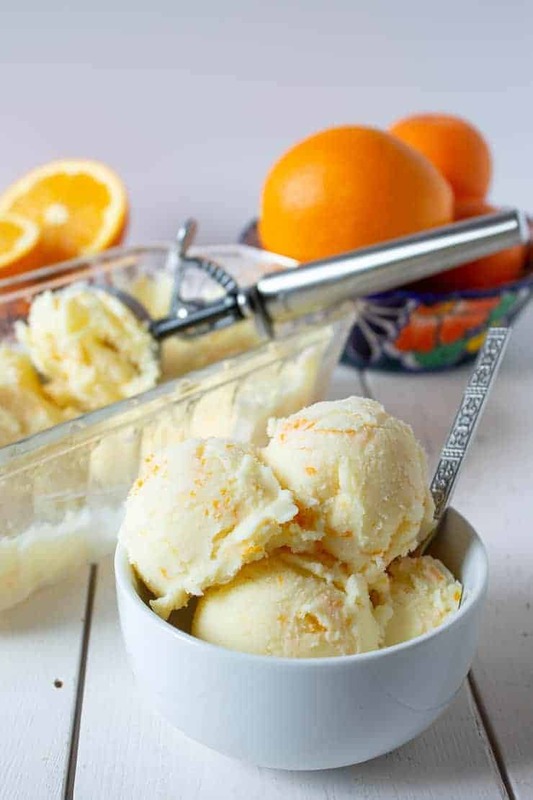 Homemade orange sherbet made with just three simple ingredients. 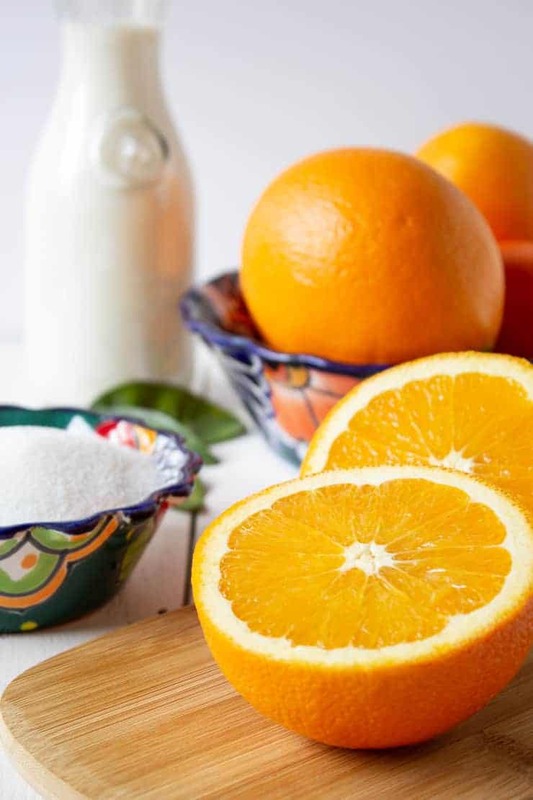 Mix zest, juice and sugar together. Add milk and mix again. Pour mixture into a frozen bowl for an electric ice cream maker. 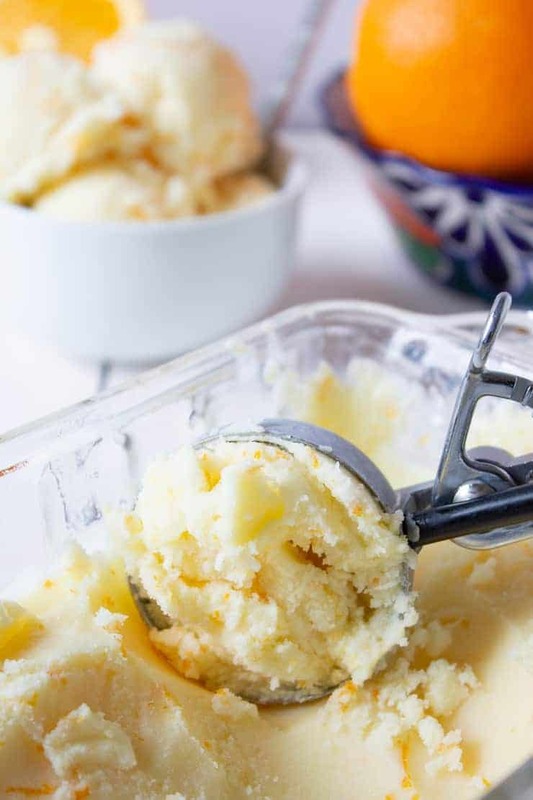 Churn for 20 - 30 minutes or until frozen. 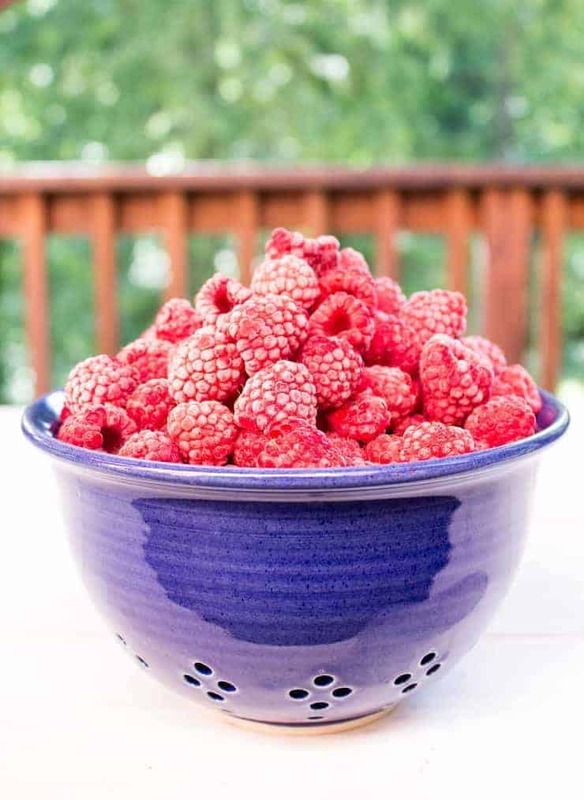 Remove from bowl and place in a freezer safe container. 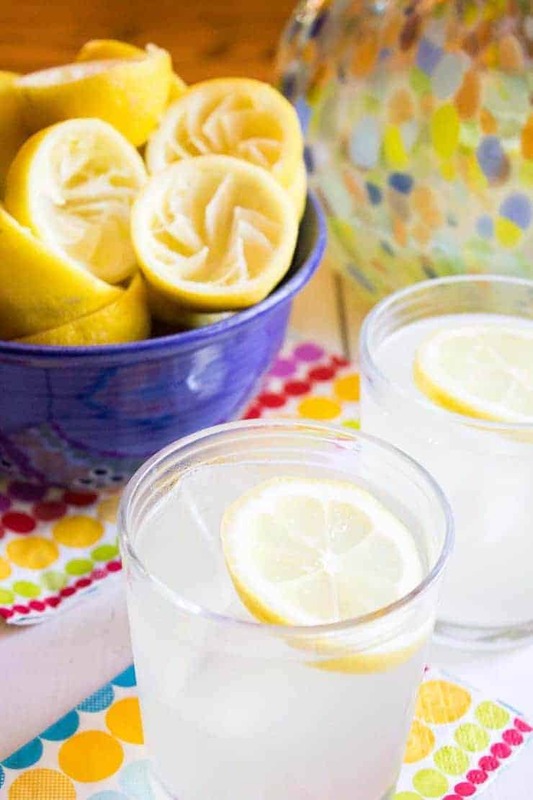 Freeze for at least 2 hours prior to serving. 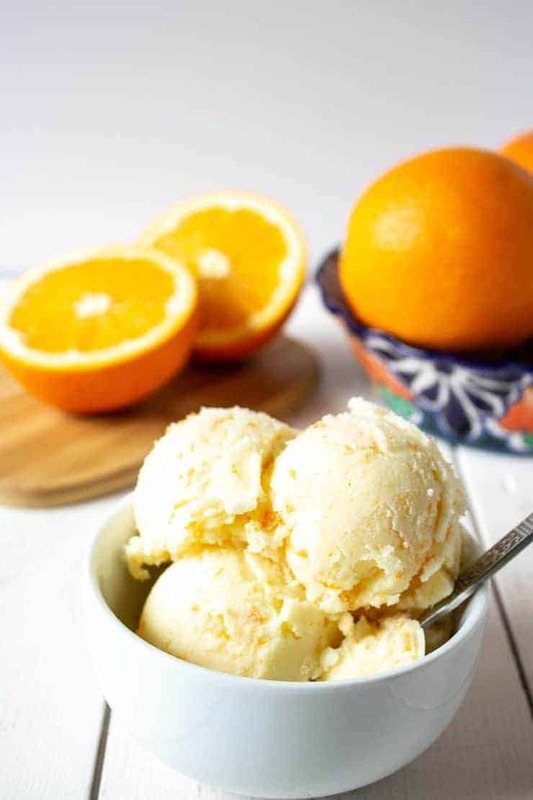 This orange sherbet looks so refreshing! Delicious! What a delicious treat for citrus season Kathy! Time to break out my ice cream attachment! You bet, two scoops coming right up! It’s a bit of sunshine in every bite!